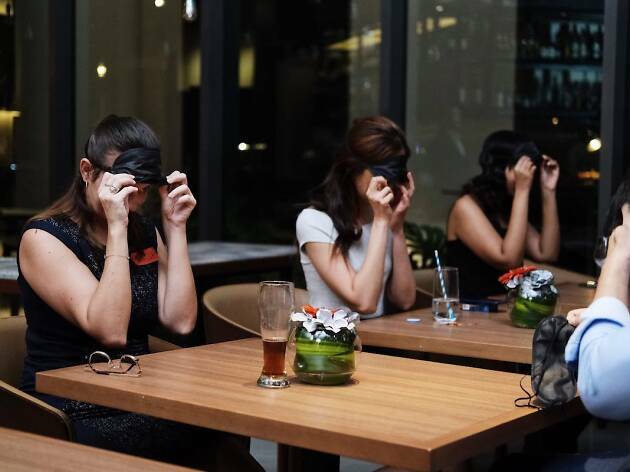 Every month, we set up two single readers up on a blind date at one of our favourite restaurants or bars in our popular Find Me A Date column. 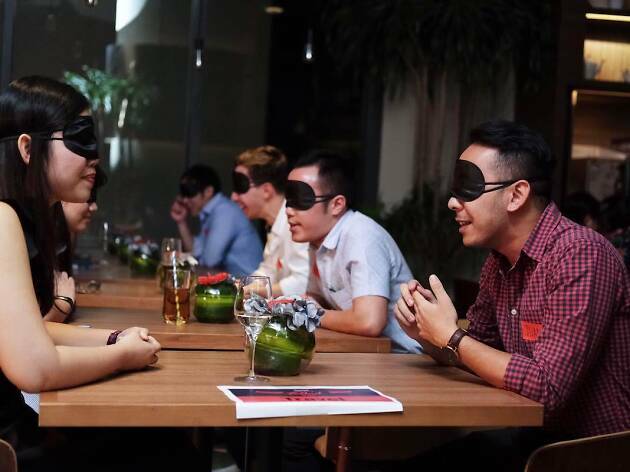 This time, we team up with modern matchmaking service GaiGai to amp up the dating experience by giving it a playful twist – speed dating while being blindfolded. 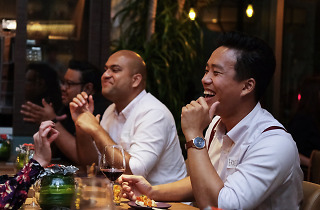 No strangers to Singapore's dating scene, GaiGai uses advanced matching technology and exciting events like this to help singletons find their significant other through meaningful connections. 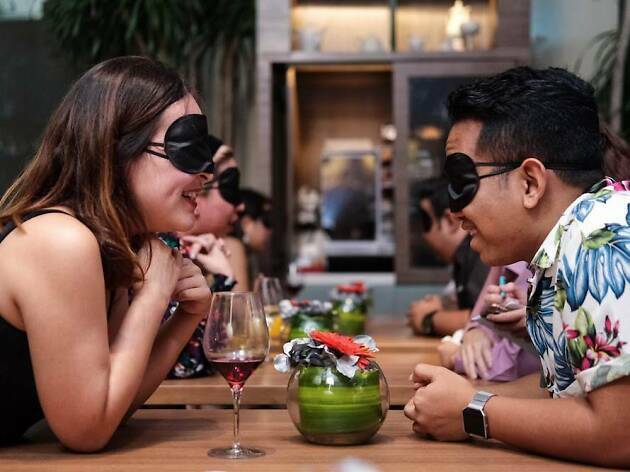 The exclusive Find Me A Blind Date event took place on March 20 at Winestone at Novotel Singapore on Stevens – where the dim lights, sultry music and tasty bites set the perfect mood for romance. 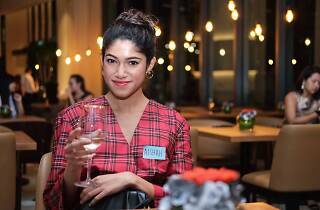 The modern European restaurant warmly welcomed 50 singles who were looking for love. 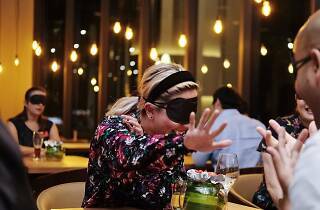 Giving up their sense of sight for one night, they were encouraged to step outside of their comfort zones and experiment with the laws of attraction through holding engaging conversations. Once the exchange was over, the floor was then opened for everyone to mix and mingle. 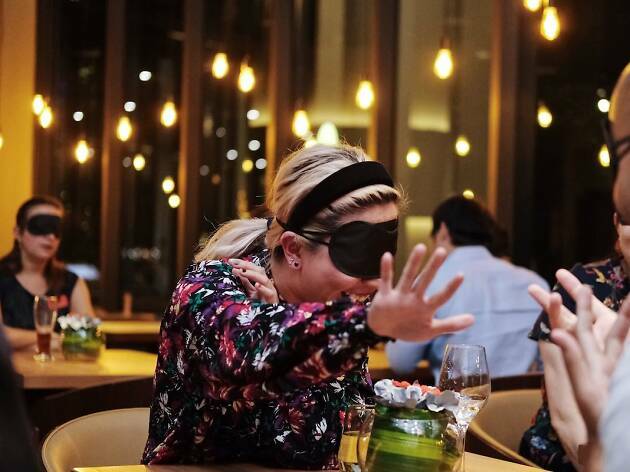 Delectable canapés and free-flow booze were served to keep everyone’s energy in high spirits including anyone who needed extra Dutch courage after the blindfolded icebreaker. So is love blind? Our little social experiment actually saw some promising results with couples pairing off to carry on the conversation. Ernest and Alicia matched based on their common belief on the existence of aliens and their love for Sci-Fi films. Ernest was also quick to mention that her pick-up line was a winner. “I said ‘Feel me. I’m wearing girlfriend material’,” Alicia demonstrated. Another matched pair was Gerard and Genevieve. Both were impressed by the engaging conversation had and how smooth it went sans awkwardness. 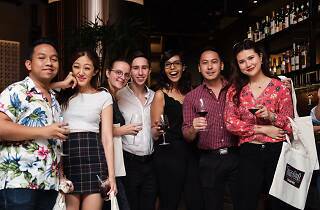 Others weren’t as lucky but enjoyed themselves, nonetheless. According to Imran, the experience was “very strange but interesting because I tend to look at people in the eye when talking.” Zak, on the other hand, thought it was refreshing. “You have to actually listen. 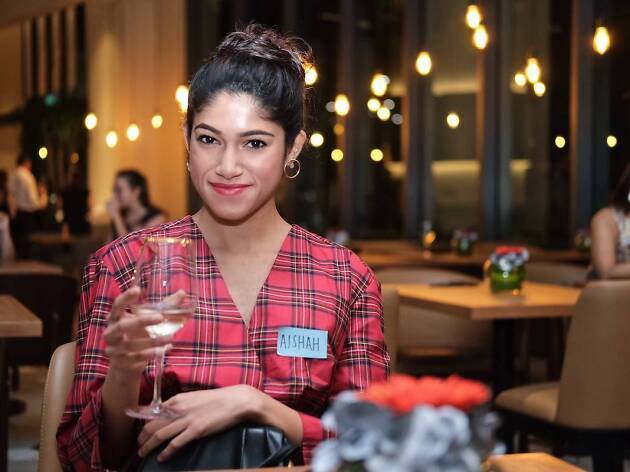 I like guessing from the sound of her voice – where she’s from and what she does.” And despite the lack of sight, we’re glad that people were comfortable and had a good – albeit unusual time. 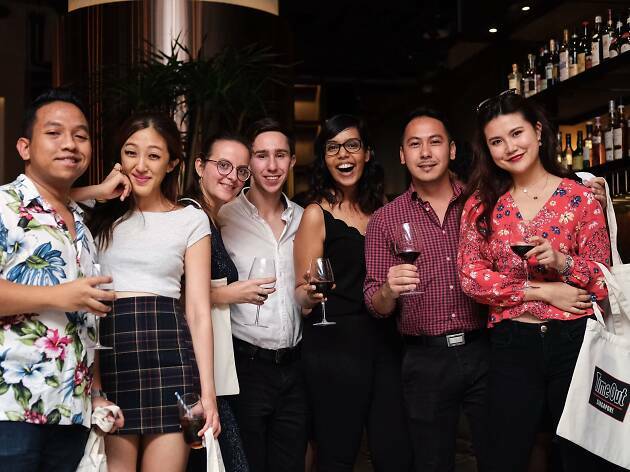 Want to be part of Time Out Singapore's cool events? 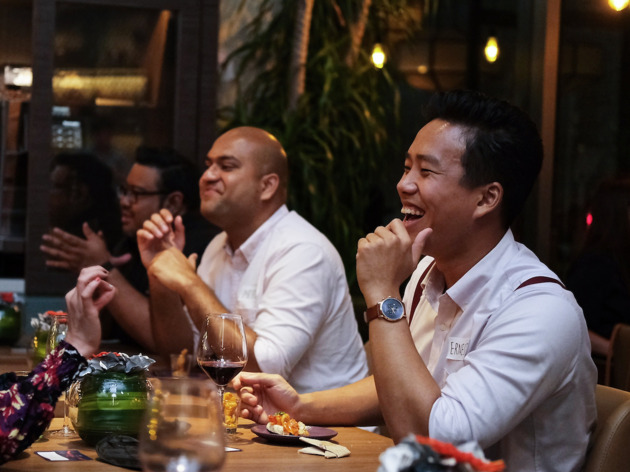 Sign up for our newsletter to stay in the loop of the best events happening in the city. We look forward to helping you find love in the future too.